Throughout the globe, luffas have been used as washing-up scourers for generations. Continuing this tradition, LoofCo loofahs are grown to organic principles; utilising a slice of natural, Egyptian-grown fibres to bring simple, yet highly effective cleaning to your home. Ideal for washing-up, LoofCo loofahs fit comfortably in your hand. When wet, this loofah is supple enough to bend round rims, reach into corners and have plenty of scrubbing power. These loofahs last between 3 and 12 months and when worn out, these loofahs can be composted, saving landfill. After use , rinse and hang from string loop to air dry. Your loofah can occasionally be refreshed in the washing machine if need be. The LoofCo Washing-Up Pad - Single product ethics are indicated below. To learn more about these product ethics and to see related products, follow the links below. 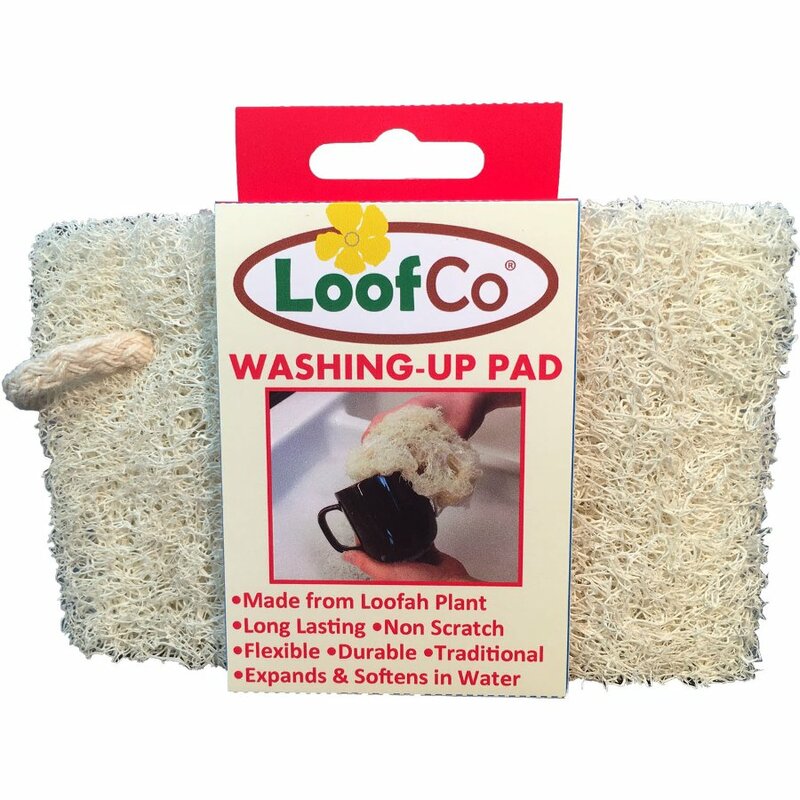 LoofCo washing up pad fluffs up beautifully and squishes down well enough to wash mugs and glasses. Bits of dirt do get a bit stuck in the fibres, so it needs washing through carefully, but is easier to clean than a regular scouring sponge. I normally use those yellow and green sponges that are cheap and don't last. Got these in attempt to reduce amount of plastic kicking about. I am impressed by how easy it is to use and also I think it's better at lifting dried on/burnt on food than the synthetic scrubbers. Very flexible when wet so can wash fiddly cups without any bother. It has a hoop so can hang to dry - feel it's more hygienic. And it lasts much longer, like two weeks now and minimal wear. Downside is that it has been shipped from afar and the price. 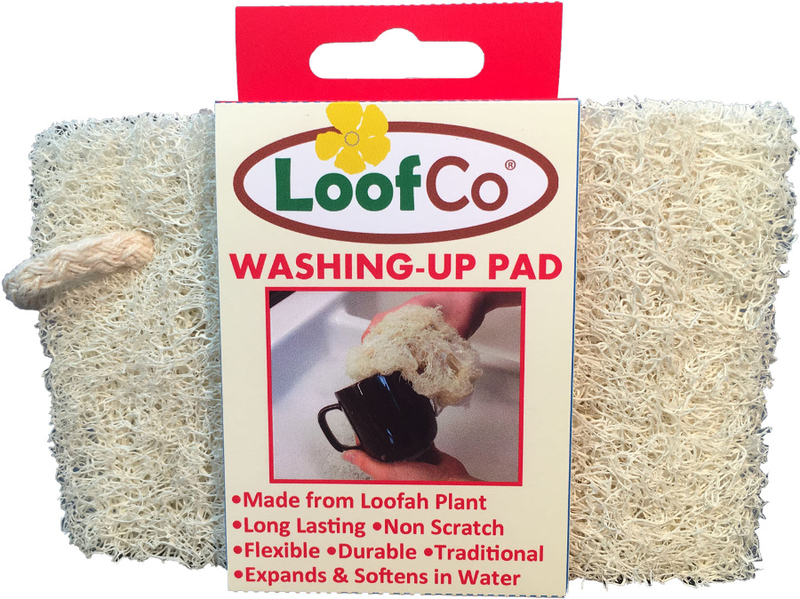 There are currently no questions to display about LoofCo Washing-Up Pad - Single.